Greengates Properties are proud to present this elegant mid terraced property located in a prime location. The property comprises of a spacious reception, a good size kitchen with 2 modern style bedrooms on the first floor followed by a good size bathroom. 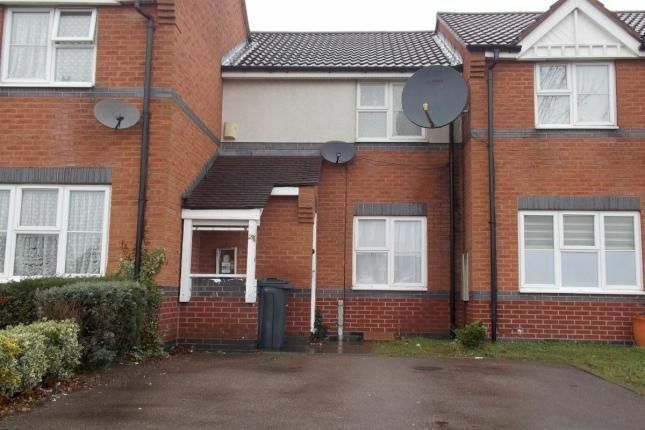 The property benefits from double glazed windows and has central heating. Furthermore there is a large driveway at the front of the property and a spacious fenced garden at the rear. There are an array of amenities in the local area with the main city centre approximately 10 minutes away. Reception room (3.02m X 4.22m) comprises of a double glazed window to the front, an installed radiator, a ceiling light point and stairs leading to the first floor. Dining Kitchen (2.79m X 3.94m) comprises of fitted wall units followed by a integrated 4 burner cooker. There are double glazed windows at the rear and a door leading to the garden. Bedroom 1 (2.90m X 3.66m)- double glazed windows to the front, a installed radiator, fully carpeted. Bedroom 2 (1.85m X 3.43m)- double glazed windows to the rear of the property, fitted radiator, fully carpeted. Bathroom- the bathroom consists of a 3 piece suite comprises of a bath with shower over, w.c with hand basin. There are double glazed windows to the rear and a ceiling light point. Rear garden- fence on its perimeter, garden consisting of a lawn. Front driveway- good size driveway with on road parking also available. Overall Property is in immaculate condition and is a great investment opportunity for new buyers. Viewings are strongly recommended. Property descriptions and related information displayed on this page, with the exclusion of Running Costs data, are marketing materials provided by Greengates Properties, and do not constitute property particulars. Please contact Greengates Properties for full details and further information. The Running Costs data displayed on this page are provided by PrimeLocation to give an indication of potential running costs based on various data sources. PrimeLocation does not warrant or accept any responsibility for the accuracy or completeness of the property descriptions, related information or Running Costs data provided here.